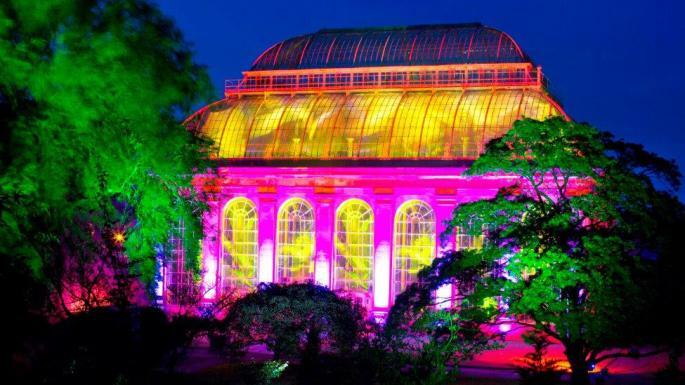 An award-winning night-time sound and light show at the Royal Botanic Garden in Edinburgh has been replaced by a new event after three years. Organisers of the Botanic Lights event have signalled the demise of the previous event despite the month-long spectacle attracting more than 42,000 visitors last autumn. Unique Events, the company behind the capital’s Hogmanay celebrations and which created Botanic Lights, said it had been told that the event would no longer be continuing after being asked to tender for a new contract. Leading Scottish artists, composers and lighting designers had worked on the project, which was honoured at both the Scottish Event Awards and the Museum and Heritage Awards in 2015. It will not be going ahead again this winter after the Botanic management decided to bring in a London-based promoter to stage a Christmas lights event instead.